Maj. Jeffrey P. Toczylowski, 30, a Special Forces detachment commander assigned to 1st Battalion, 10th Special Forces Group (Airborne) at Panzer Kaserne, Germany, died Nov. 3, 2005, while in hostile enemy territory in the Al Anbar province, Iraq. He was seriously injured as a result of a fall from a helicopter during a combat infiltration. Toczylowski was airlifted to a military treatment facility, where he was pronounced dead. A native of Upper Moreland, Pa., Toczylowski was commissioned as a second lieutenant in 1995 through the Reserve Officer Training Corps program at Valley Forge Military College in Valley Forge, Pa. He later earned a bachelor’s degree in criminal justice from Texas A&M University, Kingsville, Texas in 1997. Later that year, Toczylowski began his first assignment as a platoon leader with the 554th Military Police Company in Vaihingen, Germany. His two years with the company included a deployment to Bosnia in support of Task Force Eagle. In 2000, he began a nearly three-year stint as a force protection officer at Special Operations Command Europe in Stuttgart, Germany. 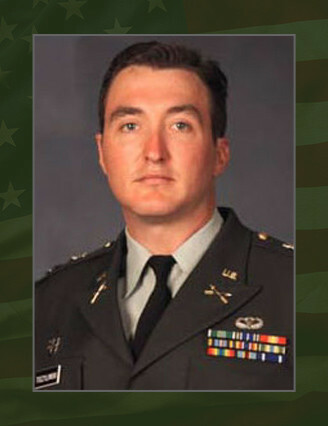 Toczylowski attended the Special Forces Qualification Course in 2003 and was assigned that year to 1st Bn., 10th SFG, as an SF detachment commander, where he served until his death. His military education includes the Basic Airborne Course, the Military Police Officer Basic Course, the Infantry Officer Advanced Course and the Special Forces Qualification Course. Toczylowski’s awards and decorations include the Army Commendation Medal, the Army Achievement Medal, the National Defense Service Medal, the Armed Forces Expeditionary Medal, the Global War on Terrorism Expeditionary Medal, the Global War on Terrorism Service Medal, the Army Service Ribbon, the Overseas Service Ribbon, the NATO Medal, the Parachutist Badge and the Special Forces Tab. He was posthumously awarded the Bronze Star Medal, the Meritorious Service Medal, the Combat Infantryman Badge and promoted to the rank of major. He is survived by his parents, Philip and Margret Toczylowski, of Upper Moreland. He is also survived by his sister, Pamela and niece, Mikell of McDonald, Pa.